Knock Knock! Who's There? Orange! Orange who? Orange you glad you came? Vitamin C! Tang, it's a kick in the glass! Orange Juice! Oranges are good for you, you know! Put a smile on your face!, Make the World a Better Place! Whatcha Gonna Do? Watcha Gonna Do? Color everything and everyone Orange! Let's go All Orange! It was all Orange! All Things Orange for eternity! Current Ongoing Quests: Getting on her Feet/Getting her Bearings/Looking for Friends/Looking for a Pack/Looking for a Mate/Looking for Help/Looking for a Home and getting off the Streets. Backstory: Orange (Or Vitamin C) is an Orange Werewolf that has just now come to these lands to make it a better place. She is looking to make friends. She is Bi-Sexual and goes both ways. (She likes both Males and Females, Straights, Bi-Sexual People, Lesbians and Gays all the same!) She seeks help and seeks to learn and also seeks to help. She is looking for a Wolf Pack and a Family. She also ultimately seeks a Husband (Male) or a Wife (Female) to be in Union with. She respects all races and alignments and all walks of life, she also knows good, neutral and evil, as well as Order, Balance and Chaos don't exist without each other. 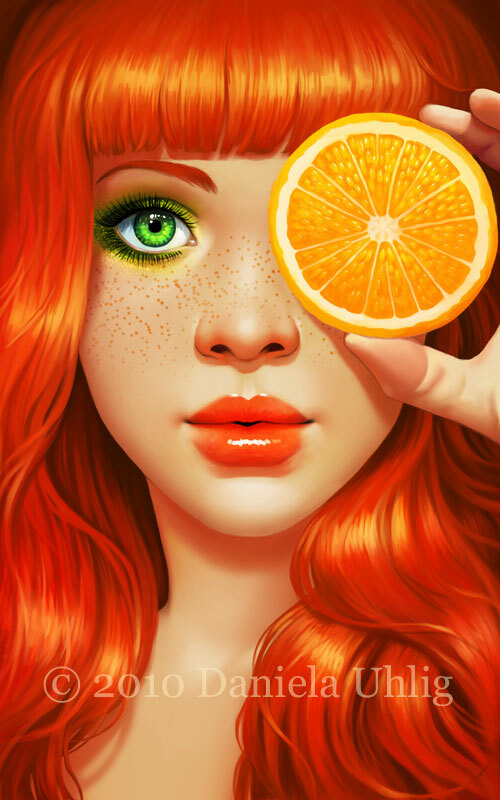 she loves all things orange, her favorite food is Orange, and her favorite drink is orange juice. She has no Enemies and no dislikes and is very open minded. She is Weird, Bizarre, Freaky, Crazy, Odd, Funny and Unpredictable. She has struggled, She grew up homeless and Broke and came from Nothing, shes always looking for anyone and anything, and she appreciates it always. UNDER CONSTRUCTION AND MAJOR WORK IN PROGRESS! ShawnD 04/27/18 He stopped near the exit, hearing the name Orange, obtaining it to memory. "I am Shawn. Please to meet you, now if you excuse me I must attend to my duties." His profession extended to being the serious one, he wouldn't be doing his job if he was too soft even if they saved his hide from sudden death. Nodding his head, saluting her before his body fade then nothing as no one noticed he was ever there at all. ShawnD 04/26/18 Sees a woman who he did not know and wonders why she would help a total stranger from his confinement. As she tried to break him out, he hopes the guards did not hear such loud noises with her tone of voice. He thanked her for such kindness. "Thank you. I do not know your name, but I will definitely remember you for what you done for me." His tone was deep, masculine, and had a nonchalant sound to it as he glanced at her before leaving. Yes, he escaped fast hearing footsteps of the guards coming this way. Blood Maw 04/24/18 "your free again." Blood Maw 04/24/18 "Then a very welcome to the realm." Blood Maw 04/24/18 "Just doing my duty." Blood Maw 04/24/18 "You are free to go." You manage to break out The Orange She Wolf. Summer 04/23/18 Grinning, she tilted her head. "This place can be kind of confusing. If you need help finding your way, just give a shout. Then again, some seem to have an innate knowledge of this place upon arriving." Looking up, she considered, realizing that to be true. Curious. Looking back at the newer girl, she gave a bright smile. Summer 04/23/18 "Welcome to the realm!" The blonde smiled warmly at the newcomer.